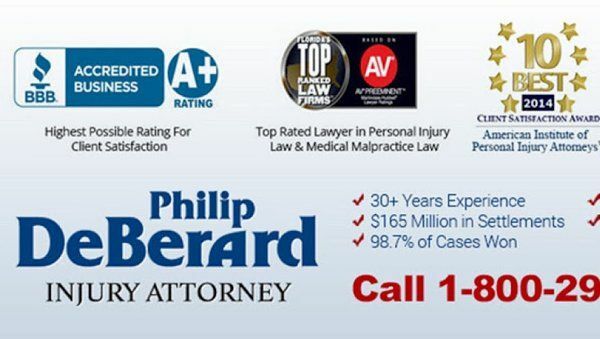 The law firm of Philip DeBerard, Injury Attorney, assists people seriously injured in accidents in West Palm Beach, FL and throughout South Florida and the Treasure Coast. Injury attorney Philip DeBerard has more than three decades of experience and takes pride in leading a dedicated team of lawyers, paralegals and staff who provide personalized service to clients. Flanagan Personal Injury & Wrongful Death Law Firm, P. A.
Miami personal injury attorney located in Coral Gables, FL. Flanagan Personal Injury & Wrongful Death Law Firm, P. A. provides services for personal injury and medical malpractice victims. Best client service for personal injury lawyer victims. Personal Injury Lawyers in Miami and the legal team will work hard for you with guaranteed result. Call (540) 326-7348 for more information. Winters & Yonker, P. A.